In all the cut-and-thrust of the 5 May London elections, one thing is clear. There’s scope for positive change in race relations. 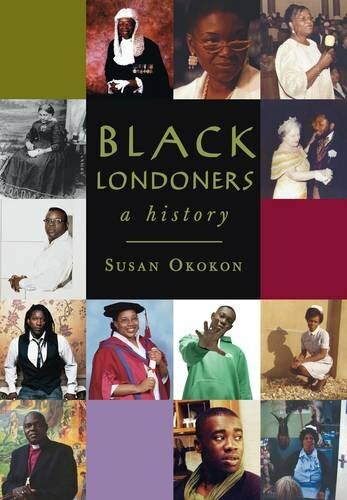 One Million Black Londoners are becoming more successful in their traditional inner city habitats. New settlers seek greener pastures in Outer London boroughs. Yet, there is mounting frustration as the walls of prejudice grow higher. Racial and religious slurs have marred the campaign with grave unanticipated consequences. Hence, no leader in London’s public realm – whether in city hall, town council chambers or quangos – can be exempt from, or remain insulated from the search for solutions to race-based inequalities. We need interventions that focus on the One Million’s agenda, those that progress equality and equity outcomes. Employment: to find creative remedies to reverse the bleak unemployment, to integrate the workplace and to reduce the growing racial disparities in the job markets. Education and training: to lift up communities, address the supposed deficiencies of minority children and smash the institutional barriers to academic progress, at all levels of the educational system. Housing: to support beneficial regeneration of downtrodden areas with large Black concentrations, to link with community aspirations, requirements and priorities, and to address the policy implications of the shortage of affordable, decent homes for lower income groups. Health: to protect, expand and integrate provision for skill training, job mobility, planning and delivery of health services. Participation: to increase Black representation in the relevant institutions, including the councils of government, quangos, industry, trades unions and political parties, and in the running and planning of public services agencies. Urban Renewal and Development: to link public and private resource investments with statutory equal opportunity and positive action practices. Budget Allocations: to gain advantage from census-related urban financing, and to take steps to reduce the impact of under-counting of Blacks and ethnic minorities. Welfare and Justice: to review and redress Black over-representation as welfare dependants and in prisons and mental institutions, and to pinpoint required changes in the legal profession, probation service, judiciary and magistracy. Oppose racial violence: to examine and recommend solutions for the prevention of racially motivated crimes against Black people. Business: to expand the training and involvement of Black enterprise in the local and national economy, e-commerce and in exports and trade. Mutual aid: to examine and promote the success of Black voluntary activities, charitable appeals and fund-raising techniques. Undoubtedly, there will be bitter opposition to linking Black progress and creative public leadership. The barons of politics, business and culture will dismiss demands for power sharing. The best journalists will courageously report Black community views but media hacks will still peddle racial and religious slurs. Furthermore, the bigoted and prejudiced will be furious. Even fair-minded liberals may be disquieted. Nevertheless, forging a strategy for a Black agenda is worth voting for and working for post-election. An egalitarian and inclusive perspective, it offers scope to make Black progress and creative public leadership share the same path.